Fall is here! Kids are back in school, and the morning air is crisp. For some, it feels like Summer left a giant gaping hole, and for others the coming season just means they can fill that hole with pumpkin spice lattes. So, whether you're grieving summer's departure or celebrating this new season; these inspired crafts are a lot of fun and are guaranteed to put you in an autumn mood. 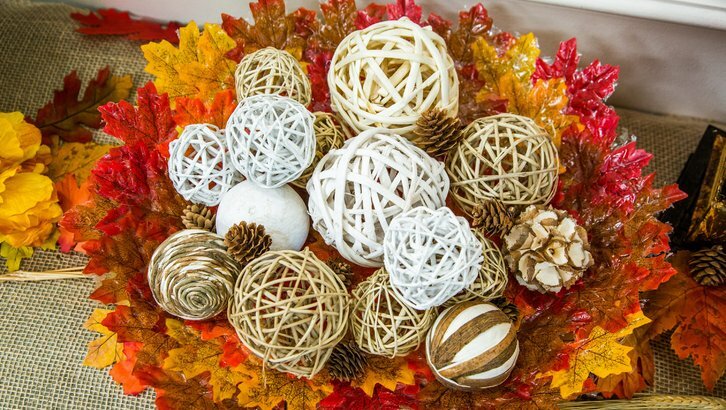 Bring the outdoor colors of fall inside with this easy DIY bowl! 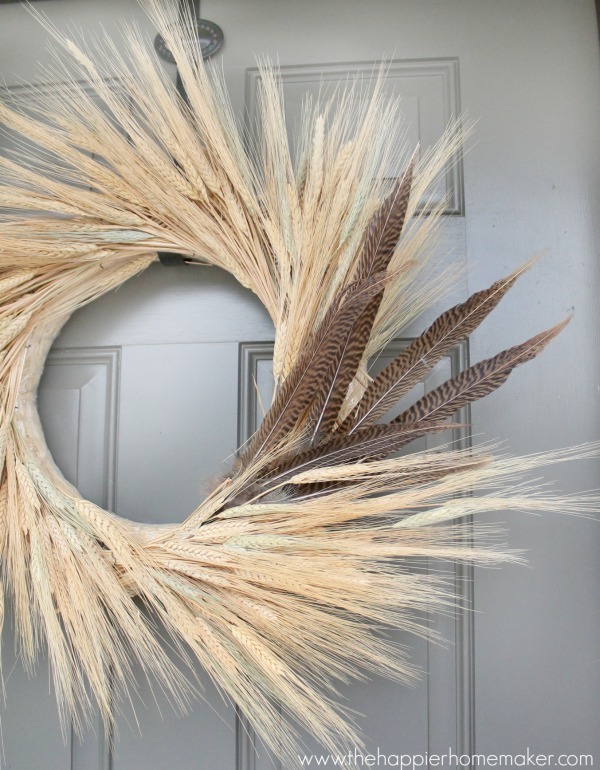 This wreath will add some flare to your front door! 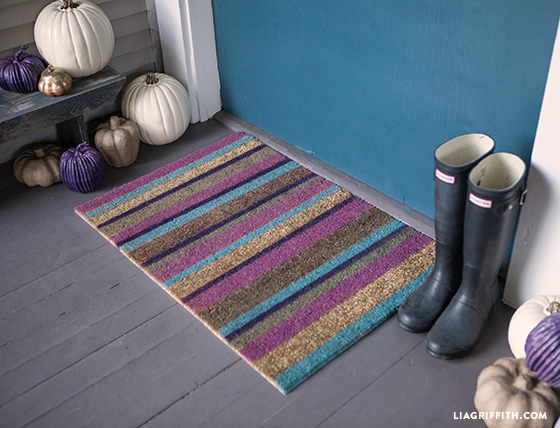 This doormat is a great DIY for fall! You can opt for stripes like the one pictured below or you can customize it however you'd like, perhaps you have a fall color scheme already in mind? 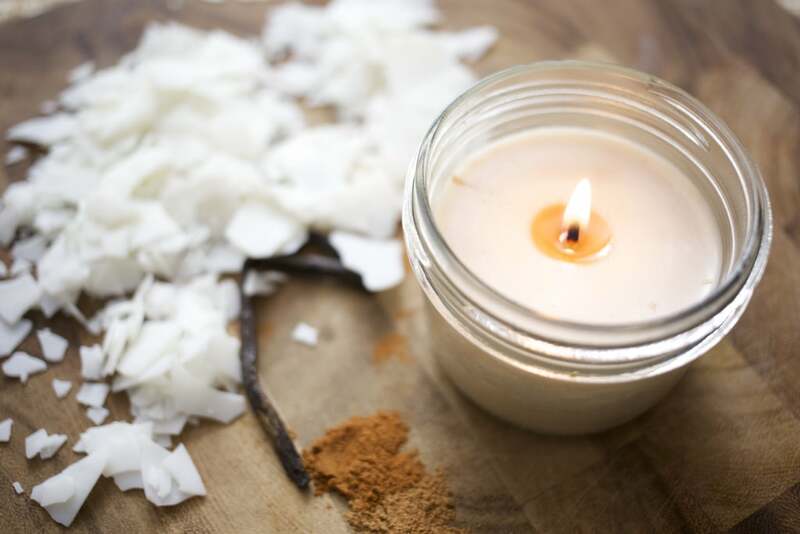 This candle will have your home smelling like fresh pumpkin pie, and is super easy to make!